He hasn’t given up cooperating with likeminded artists though! In 2007 he met Ricardo Rodrigues aka Industrialyzer, in whom he recognised an attitude similar to his own. They are both from Portugal, both self-made, and the both have a clear vision of what techno should sound like. As a duo they’re at least as popular as they are as individual artists, playing sold out shows wherever they go, and steadily creating an impressive combined oeuvre. On top of that they run Codeworks, a label designated mostly for their own special projects. 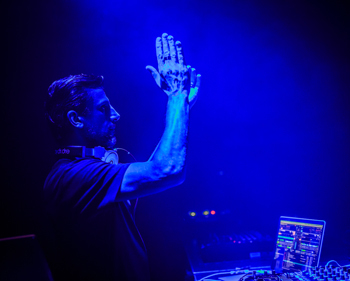 Cisco’s personal discography lists labels as Drumcode, Synewave, Rotation, DJ Gigolos, Kanzleramt, and Pure Plastic to name a few, and of course many releases on his own imprints Kombination Research and Codeworks.